Community Gardens are so much more than food! Gardens are a vehicle for community engagement, education, food access, art, cultural expression, conservation, mental health, physical fitness, neighborhood beautification, pollinator support, collaboration, and place-making. Shelly Strom is part of the Community GroundWorks staff, the non-profit organization that oversees Troy Gardens. Shelly is enchanted by the intersection of urban agriculture, environmental conservation and community development. This "ecotone" is an amazingly diverse place to observe, engage with and foster healthy neighborhoods. In this session participants will take a walking tour of the compost sites and talk about the history of the effort at Troy Gardens, the goals, the challenges and the successes at this point in the project. This will be followed with a discussion about what the future could look like in terms of caring for the soil at Troy Gardens . Nothing can compare to the beauty and intricacy of the natural world. Pat is motivated by the idea that people should be able to eat healthy food, free of chemicals and that land and soil should also be free from chemicals and be treated as the valuable resource that it is. Every activity which works to heal the damage being done by greed and ignorance is a piece of the alternative structure being created to protect and heal the environment. She likes to be part of grappling to understand our current threats to people and the environment, and envisioning a positive way forward. A historical look at the 4,000 year old history of sacred groves around the world and some thoughts about how sacred groves provide a community based template for the creation of public access forest gardens. mIEKAL aND lives outside the constraints of academia in the most lush and rural part of the unglaciated Driftless area of southwest Wisconsin. Choosing to focus on creating wilderness and abundance surrounded by the perfect setting for limitless imagination his course of action includes demonstrating alternatives to inbred aesthetics, delighting in the play of DIY culture, and making art and writing that is both anarchic and noisy. He lives at Dreamtime Village, a permaculture/media community in Richland County, Wisconsin and is the caretaker of Driftless Sacred Grove, a permaculture demonstration begun in the early 1990s. http://facebook.com/driftlessgrove. Participants will learn a simple Tai Chi-like form and related movement explorations of the five animals and the sun that are the foundation of this form and integrated arts program. Appropriate for all ages. Gerri Gurman has a been a performer, choreographer, Tai Chi practitioner and integrated arts educator for over 45 years. She danced with the Call for Peace Drum and Dance Company from 1993-2007 with performances in Russia, Germany, Israel, Egypt, Puerto Rico and at the World Peace Summit in Rome in 2003 in honor of the Nobel Peace Prize Laureates. In 2013, as a guest artist, she taught her Tai Chi Animal Frolics integrated arts program for the Waisman Early Childhood Program at the University of Wisconsin-Madison. Having created the Tai Chi Animal Frolics form in 1993 for her students at Hawthorne Elementary School in Madison, Wisconsin, she has devoted 24 years to teaching it to children and adults throughout the state. She hopes to bring peace, calm, centeredness and an appreciation of the connection of all life on earth to those who wish to join her in this practice. How do we balance self care with long days of farm work? How do we find peace when illness knocks us out and the fields are filling with weeds? What strategies can we put in place to prevent burnout? Dayna Burtness Nguyen of Nettle Valley Farm has been farming with several chronic illnesses and will lead a discussion about these questions and more. Bring your ideas and stories to share! Dayna Burtness Nguyen runs Nettle Valley Farm in Spring Grove, MN with her partner Nick. They raise beyond organic, heritage breed, pastured pigs for families in MN, WI, and IA and have plans to open a regenerative agriculture farm incubator program. Learn more about the farmstead at NettleValleyFarm.com. Join Shelly and Marge Friday night for a tour of the Troy Gardens property and learn about the different programs that utilize its 20 acres. Shelly Strom is part of the Community GroundWorks staff, the non-profit organization that oversees Troy Gardens. Shelly is enchanted by the intersection of urban agriculture, environmental conservation and community development. This "ecotone" is an amazingly diverse place to observe, engage with and foster healthy neighborhoods. .
Marge Pitts is a creative writer and storyteller who has lived in the Troy Gardens neighborhood for decades. Marge was part of the original coalition of individuals and nonprofits that worked together to preserve the land that grew into Troy Gardens. She gardens, tends chickens and walks her dog, Bird at Troy Gardens every day. Come learn about the Farm to Early Care and Education program which connects young children in daycare, preschool, Head Start, and other early childhood settings with the health and learning benefits of local food. Whether through Wisconsin-grown foods in meals or snacks, harvesting from an onsite garden, or a visit to a nearby farm, this program helps Wisconsin's youngest eaters develop the healthy eating habits that will support them into adulthood. Beth Hanna is the Farm to School Director at Community GroundWorks. In this role, she supports farm to school and farm to ECE activities across Wisconsin by connecting educators with resources and training. Community GroundWorks, Wisconsin Core Partner for NFSN, has worked to connect people to local food and nature since it was formally organized in 2001. Beth lives in Madison, WI where she frequently brings work home with her in the form of seeds, seedlings, and fresh produce. She has a master's degree in nutrition and previous experience as both a classroom teacher and a public health educator. The children are in charge for this session. We will go to a natural space nearby and encourage children to interact with the space by making observations, using nature to create, and expressing our gratitude for all that is provided for us. Children will be given the opportunity to collaborate and explore freely, but safely. Nature has a way of teaching us lessons beyond what a traditional classroom could ever teach. This is what motivated Melissa and Andrea to start Deciduous Learning Network Forest School with a mission to connect people to nature. Their experiences working as naturalists and educators in various contexts inspired them to create a space for children to be in a consistent natural environment to develop communication, collaborate and critical thinking skills while gaining an appreciation for the world around them. They are excited to start their second year of Forest Schools and work on ways to expand their mission. This session will cover the species and varieties that can be grown in Wisconsin, selecting a planting site, and how to establish and care for them. Casey grew up in Southeast Wisconsin and developed an interest in the natural world at a young age. His love of roaming in fence rows and woods led him to learn about ecology and environmental issues in his teen years. Part of this education was acquired at Prairie Dock Farm, where he helped with their CSA and was first exposed to Permaculture. Since then, he has interned and worked at vegetable farms, and later ran his own market garden and CSA at Prairie Dock Farm. However, he became more and more interested in tree crops and their potential. This led him to start Feral Farm, a tree crop farm that grows various fruit and nut crops in polycultures. He work with The Savanna Institute by sharing data about tree crop farming so that farmers can better understand the economic, ecological, and management aspects of growing tree crops in an agroforestry system that mimics a savanna. Learn how one person turned an auto recall into solar panels! Follow the story of the Volkswagen diesel emissions problem and how a homeowner went from putting out a lot of pollution to a virtually emissions-free home and commute. Josh Feyen writes The Urbane Farmer blog about his ongoing adventures as a middle-age man, raised on a farm and now in the thick of urban gardening. 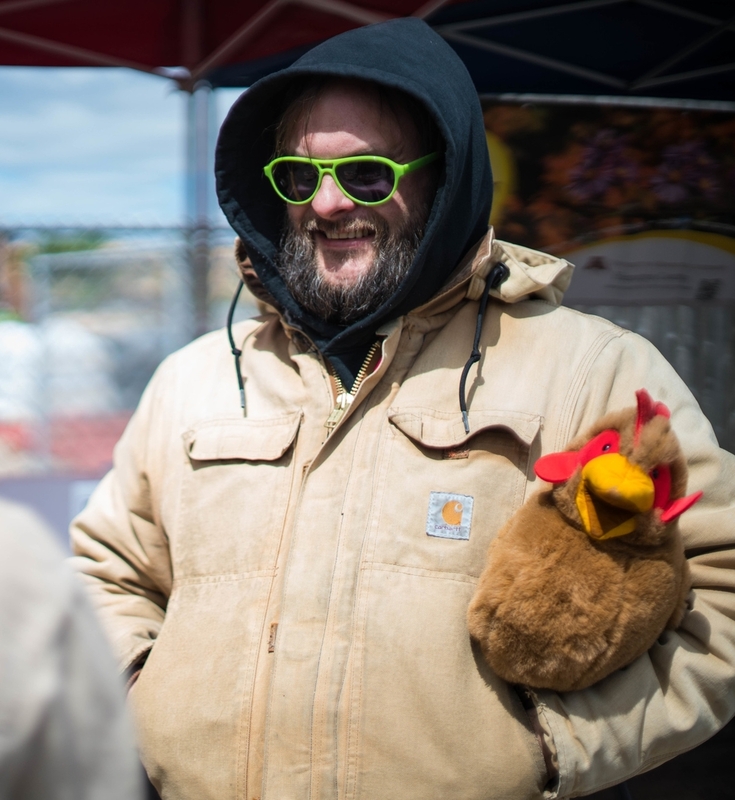 He share perspectives, opinions and farm wisdom that may or may not work in an urban setting. He's passionate about community gardening, permaculture, kids discovering vegetables and other urban and organic gardening topics. He's also passionate about building community at the micro scale, on his urban block, where he enjoys organizing events, sharing knowledge and produce, bartering, and giving others a hand. You'd be surprised how much community five minutes of small talk on the sidewalk can produce! Understanding and using Gandhi’s strategies, tactics, and economics in modern America. A how to guide to formulate a response to the end of the American empire. Varun Bhaskar is some random guy formulating a way to resist and defeat empire. He is former Editor of View on the Ground, a traditional newspaper that tried to serve Dane County, but ran out of funding. He firmly believes that traditions and practices from our past will contribute to rebuilding our Democratic institutions, but only if people will surrender the self-defeating comforts of industrial life. Varun believes story telling is the best way to reintroduce people to communal life, pass on useful skills and knowledge, and help paint a broader picture of what we want our future to look like. Biogas technology can be safely built and regulated for personal use. This workshop will showcase different designs with case studies and performance data..
Doug Renk is a biological process engineer for BIOFerm Energy Systems since 2010. Renk is directly involved with the commercial and industrial dry fermenters, recycling organics residuals, diverting from landfills and converting to renewable energy and soil products. Renk assists clients in establishing operation protocol and process management. He also assesses client’s material potential value to help match goals with anticipated results. In his spare time, he is an avid gardener and home biogas/ composting enthusiast. Renk received his M.S. in Agricultural and Biological Engineering from the University of Florida and BS in Environmental Management from Rollins College, Florida. In this workshop, you will learn the basic principles of fermenting foods for preservation and health. We will demonstrate making sauerkraut, kvass, pickled vegetables and other cultured foods that can be easily made at home to use up your bounty. Laura originally hails from Missouri, but has been living in Viroqua, Wisconsin for over 3 years. She is a registered dietitian in private practice, using traditional foods and functional nutrition as the basis for her work with clients. With a background in food service and cooking, she has combined her love of food and wellness, becoming involved with the local food movement. Laura has found a passion in teaching over the last several years, leading workshops and classes all over the region at various conferences and gatherings, with the Driftless Folk School and Eagle Bluffs Skills School, in homes with private classes, and at the Youth Initiative High School in Viroqua. When she isn't teaching or working, you can find her on the river or working on perfecting her sourdough bread. Domestic water heating draws a large percentage of home energy use, but in this session we'll show how even in Wisconsin winter we have enough solar resources to heat water by the sun. Unlike generating electricity from wind or the sun, we have decent technology for storing heat for later use heating both water and your home. Scott is the founder and director of the Low Technology Institute just south of Madison) where he researches strategies for people and communities to become self-sustaining in a post-fossil-fuel world. He holds a Ph.D. in archaeology and combines this academic rigor with a lifetime of tinkering, inventing, and constructing. In this session participants will learn about the “stitch & glue” building method. An overview of the technique that can be used to create kayaks, boats, campers, and other creations out of lightweight plywood, epoxy, and fiberglass will be covered. Participants will interact with a tiny camper and sea kayak Tom has built using this method. Tom Jablonski currently resides in the Anoka Sand Plains of MN in the Suburb of Blaine. He has been dabbling in permaculture in trying to convert his suburban lawn into food for the past couple of years and building and using wooden creations of various sorts for most of his life. We all know that Permaculture enthusiasts tend to be action-oriented, thus an invitation to a sitting meditation practice is sometimes met with a “huh, me sit still?” Join Anne and others to explore the benefits of "turning inward to pay attention in the moment without judgment", using time-tested practices that harmonize body, emotions, and mind both on and off the meditation cushion. Anne Forbes of Partners in Place is a practice leader in The 3 Doors, an international nonprofit organization that teaches selected Tibetan meditation methods that are accessible and relevant for modern life. She is a student of Tenzin Wangyal Rinpoche, a Tibetan Bön Buddhist meditation master. After decades as an ecologist, consultant, facilitator, teacher, and writer at the Center for Limnology, UW-Madison, Wisconsin Department of Natural Resources, and Partners in Place, LLC, she completed a rigorous course of study through The 3 Doors Academy and The 3 Doors Presenter's Path with senior teachers Gabriel Rocco and Marcy Vaughn. She is author of Wheels of Time and Place, a toolkit for tracking cycles and seasons, a certified SoulCollage® facilitator, and a devoted grandmother. Originally from Pennsylvania, Annali hails most recently from Waco, Texas where she worked on an educational farm and ran an after school gardening program for two years. In January of 2013 Annali and her husband Zac moved to Madison for its vibrant local food scene and bike-ability. Passionate about food, earth care and education, Annali is very excited to continue her work in her 5th season at Troy farm. When she is not farming, you can often find her biking places with her husband, spending time with her church community, and cooking and eating the food she grows. A lifelong Wisconsinite, Garrett landed in Madison in 2006, where he was introduced to the thriving local food movement and has been working on discovering his role in it ever since. Instrumental along his journey has been time spent with Fitchburg Fields, Community GroundWorks, Voss Organics, Edgewood College’s Sustainability Leadership Program, and the Community Action Coalition. Garrett is grateful for the opportunity to return to Troy Farm to help connect others to this land and organization. During his free time, Garrett enjoys indulging in Wisconsin treasures: craft beer, artisan cheese, and homemade meals prepared by his patient and supportive partner, Joslyn. The average kid today is three generations away from the farm and doesn't know where their food comes from. Kris set out to change all that by setting up farm camps for kids where kids get out in nature and make food, farm to table, to eat and appreciate. Kris Paape, and her husband, Dan didn't start out as farmers but after watching the movie Food, Inc. they set out on a journey to change the way they would farm. Videos by Joel Salatin and numerous other books provided the inspiration and then they set out to make it all happen! This session will focus on ways to build a ritual that is meaningful, deepens your connection to the land and has all of the essential components to make it successful. 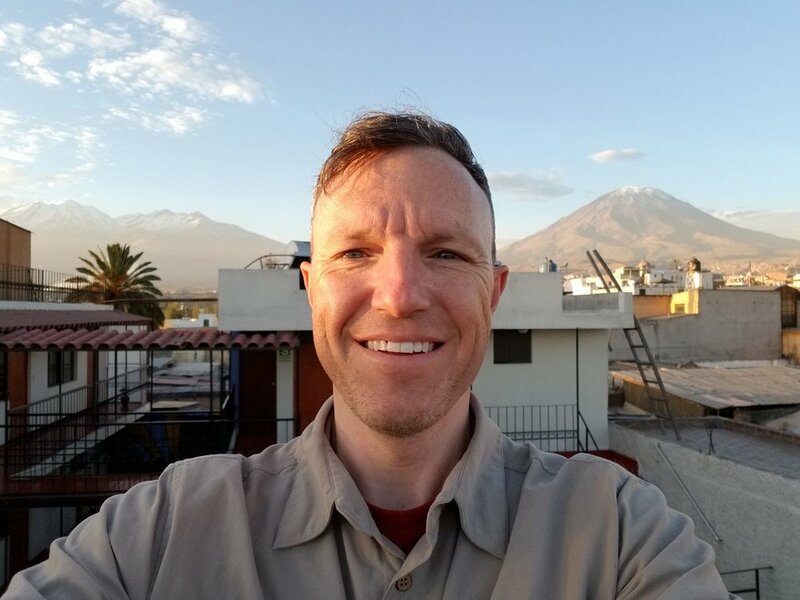 Josiah has been teaching yoga and wellness classes for over 10 years and has seen a lot of people trying to connect to something spiritual in their Permaculture projects. His personal Permaculture project is a hybrid of a Permaculture based food forest and garden surrounding several community based activity and ritual spaces for meditation, workshops, etc. In this interactive session, kids will create a skit to share their solutions to some of the great challenges we face in our lives and communities. Marissa is an activist, homesteader, strategic planner, writer, speaker, and Permaculture designer with a background in human rights and sustainable global development. After completing her studies at the University of Wisconsin-Madison, Marissa worked in international public policy in Washington DC before moving to California in 2013 to work with Transition US. Marissa and her partner, Jeremiah. In 2016 Marissa and Jeremiah moved to Colorado but are back in Wisconsin to visit family and support the convergence following the Transition US National Gathering being held in Minneapolis July 27th - 31st. Jeremiah is an unconventional activist and a fun and encouraging ally in holistic wellness, who is eager to learn and share about regenerative lifestyles that make us feel vital & alive, beginning with embodied Permaculture. Jeremiah will be leading the Saturday morning Yoga session and co facilitating the Kids Activist Theater session. Born in Sonoma County, Ca, Jeremiah is visiting Wisconsin with his partner, Marissa, following the 2017 Transition US National Gathering which is being held in Minneapolis July 27th-31st..